For a lot of people, the start of a new year is the start of many beginnings. Health, fitness… perhaps a move. This year, more so than in recent years, there is a greater uncertainty about how the real estate market will look given the ups and downs of 2017. Mortgage changes. The stress test rate qualifications even for those who make down payments of 20% or more of the purchase price. These borrowers will have to choose between reducing their purchase price or delaying their buying plans to obtain more of a down payment. If more people choose to delay their purchases we could see the demand for housing reduced and ultimately lower pricing. Interest Rates. Most are saying they will remain at current levels. Mortgage changes – less borrowing = less spending. Consumer spending will be down and that in turn affects inflation. It looks like the Bank of Canada will take some time to observe how the mortgage changes impact the real estate market and go from there. If rates stay low the effects of the mortgage changes will be lessened. There is no question the market will be down. How could it not be after that unprecedented upswing in pricing last Spring. But, how the media presents the market will determine the chatter around the water cooler and how housing consumers “feel”. Will the headlines be doom & gloom hence slowing the purchasing? Or will it be focused on opportunities and get the offers flowing? If you are buying and selling – do so in the same “market” . Sell first and buy second. If you are a first-time buyer – get preapproved and understand your limits. That detached home may not be in the cards this year. The condo and townhouse market is still very strong because of the number of buyers in this segment. Buyers should take advantage of the typically slower January and February markets. We don’t know how the Spring will look, but history shows the pricing will go up from February. Sellers! Your home hasn’t actually lost value. Remove the February/March/April 2017 pricing from the statistics. In “GENERAL” pricing is up about 3% annually, which is a typical and good growth. Here are some December statistics from my office – keep in mind, while the office is located in Etobicoke our agents work across the GTA. Look at the number of listings taken this December vs. last December. A direct correlation to sellers trying to get in the market before the mortgage changes went into effect. It was a successful strategy; the sales were up 36%. The “Closed Units” is a good representation of the slow Fall we had where the number of properties sold, usually with a 30/60/90 day closing, were down 12%. Last year I showed you one “colour of the year” – a fairly neutral, almost vanilla colour. Well this year the big paint companies have come out with some REAL colour in their trend setting paint choices. If you are preparing to sell I’d suggest sticking with a neutral colour, however if you are just moving into your new home – go for it and bring some life to your new surroundings with something from one of these palettes. 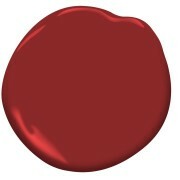 Decided on Caliente AF290 – A vibrant, charismatic shade of red, this colour is strong, radiant and full of energy. 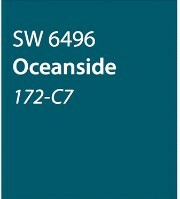 Went with another bold choice with Oceanside SW6496. A collision of rich blue with jewel-toned green… bridging together a balance of old and new. Chose something a touch more subdued, In the Moment T18-15. A cool, tranquil colour with another combination of blue, green and this time a touch of gray. Versatile, this choice crosses multiple design styles. If 2018 means the sale of your home, deciding how to go about it can be the biggest stressor and could put you in a position that costs actual dollars. But, there are services out there that can help and I offer one of them as part of my listing package. Heather, her team, and I work together to advise on decluttering, reorganization, re-purposing and staging with your own furnishings. There are some cases when a full stage is recommended, but if not – this is the way to showcase your home in its best light to achieve the most mass appeal and highest selling price. Searching for a new home can be daunting, and at the same time exciting. When John and I made the sudden decision to explore a move to the west end of the city we never thought we would find the perfect house so quickly. We had 3 neighbourhoods in mind and we explored listings, spent a few hours on the internet, and took a long drive to scan the communities. On our first official open house outing we happened upon our lovely new home, as an exclusive listing we decided to call the agent right away to arrange a viewing. Susan who was out of town at the time, immediately returned our call and spent time answering all of our questions as we were parked in front of the listed house. We found Susan to be refreshingly candid and overly patient while answering all of our questions. In the following days, Susan was super professional, providing us with as much information on the property as possible and setting up an appointment for a viewing of the intended property as well as a few other like listings. Wednesday we had an appointment; I being an East End girl entered this phase with emotional trepidation. What if we really like the house? Could I really move to the West End? Well there you have it, Susan showed us the house and John and I both knew as soon as we walked in that it was for us. Susan assured me that I that moving to the West End would be a positive experience, providing reassurance, recommendations and friendly support. Susan negotiated on our behalf with positive results, in closing the deal for us. In the days ahead this lead to conversations about a co-operative that we wanted to list in which Susan found a buyer for us within days for the price we wanted. Susan completed both transactions with ease, for the purchase and the sale she was always ahead of the game, anticipating needs and providing all the support and admin that one counts from their agent. 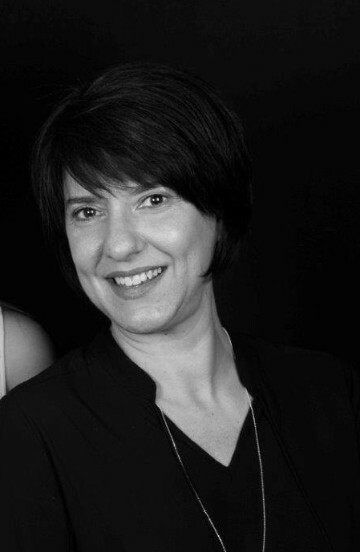 In summary, Susan’s easy manner and keen sense of the market offers a professional and well informed representation when making this most important decision.